Hi Doodlebug fans! It's Traci. 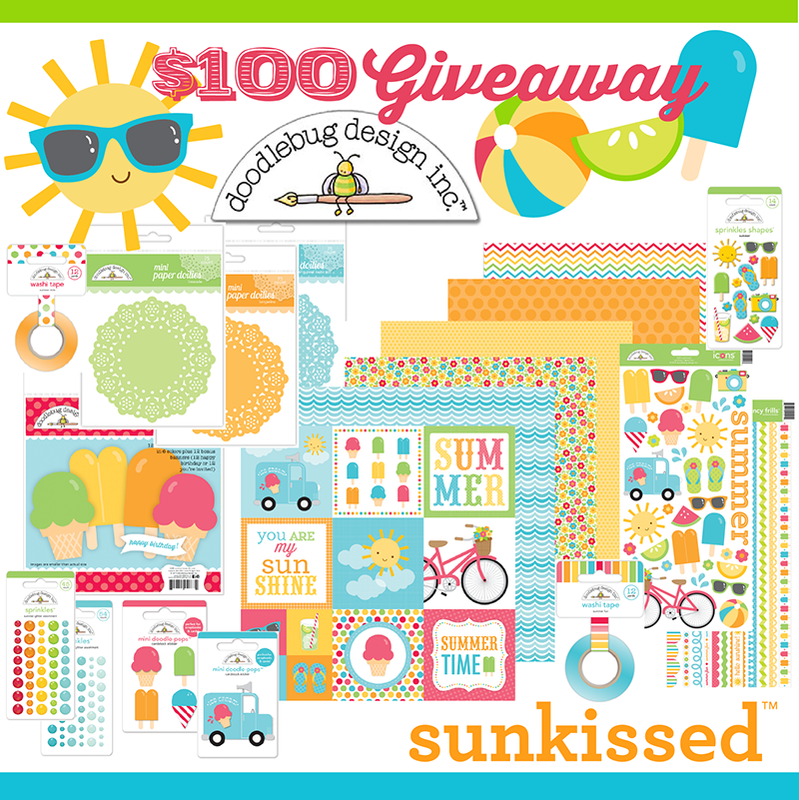 We are teaming up with Sizzix this week ... have you seen all of the cute new stamps and dies that Doodlebug has created with Sizzix? Adorable! 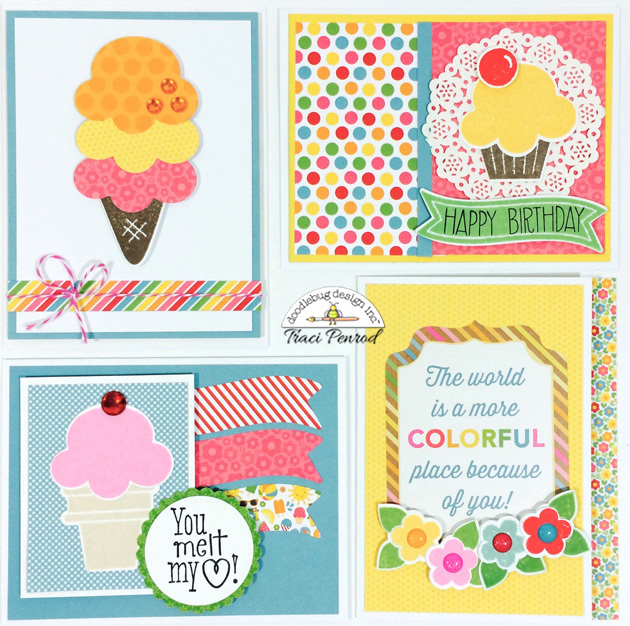 I used the Sweet Treats Framelits Die Set 10pk with Stamps to create these 4 cards. For the first one, I used the stamps and dies in combination to create the ice-cream cone. And since a little bling is always fun, I used a Doodlebug jewel for the cherry. 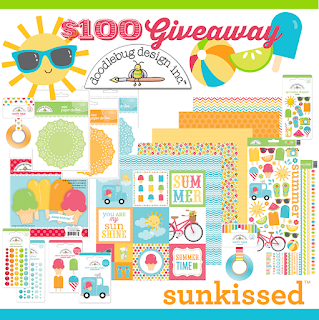 The banners were die-cut from a 6x6 Sunkissed paper pad. 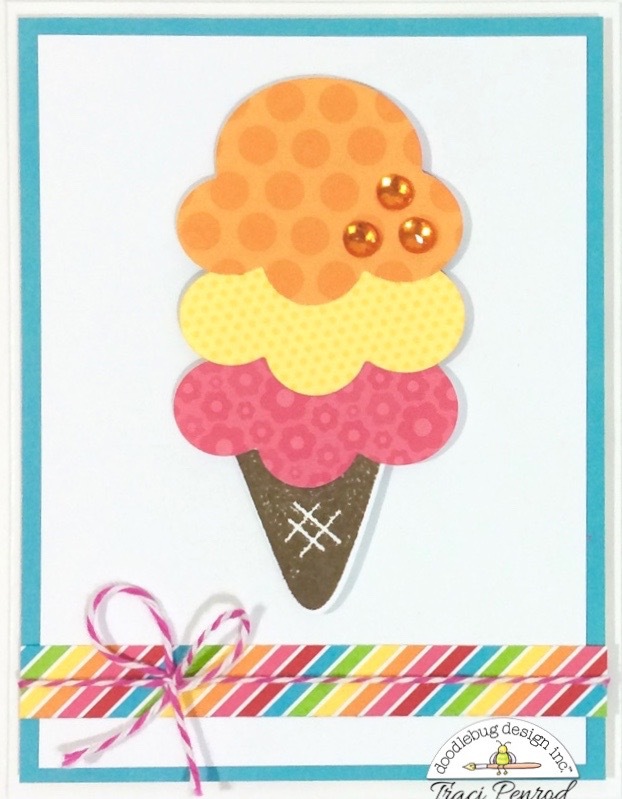 For the next card, I die cut the ice cream out of three different Sunkissed papers. To create the cone, I stamped the image and then used the matching die to cut the cone out perfectly (no fussy cutting)! 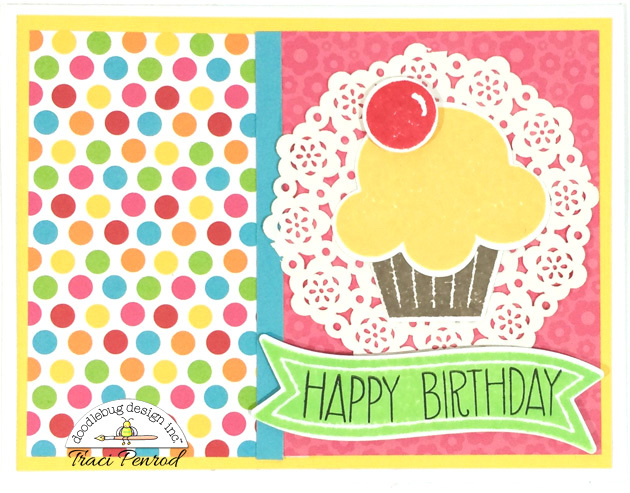 I paired the cupcake and banner stamps with one of Doodlebug's adorable doilies for the next card. And finally, a colorful little row of flowers and enamel dots complete the last card. 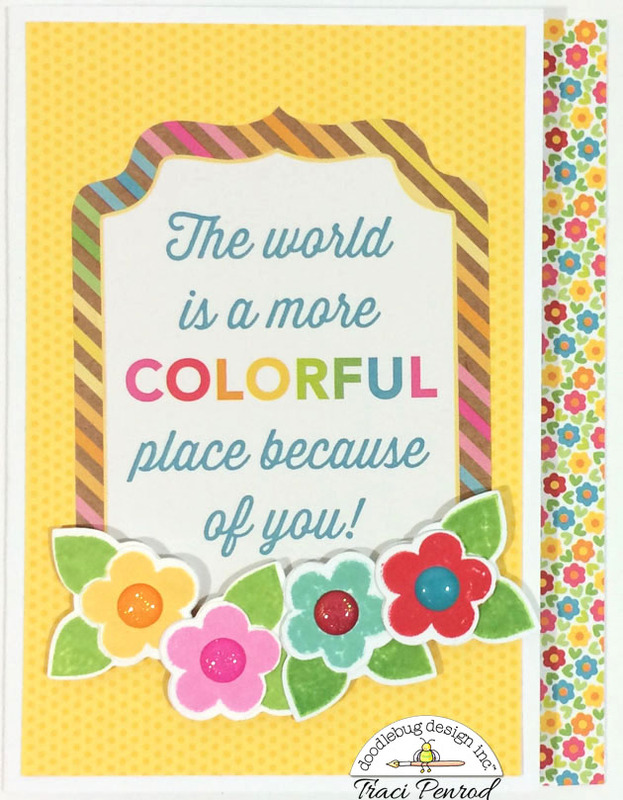 Love your cards, Traci! 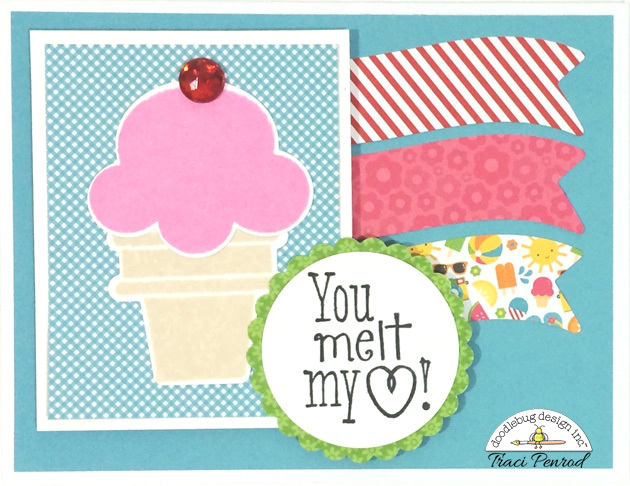 I love Doodlebug cards, and yours are especially sweet! Great set of cards, Traci!!! Sweet cards Traci!! Love these!! Traci, these are all so cute!!! !